Impact Learning Center (ILC) serves mostly Head Start families. 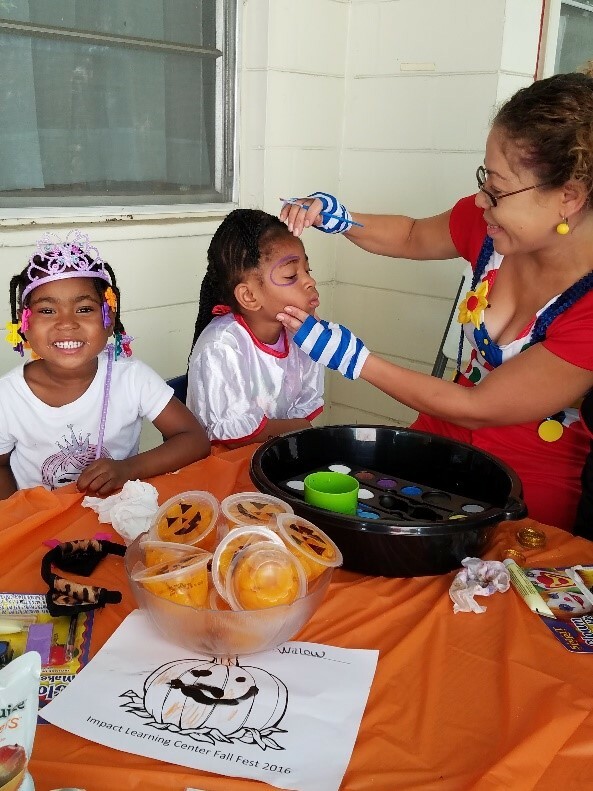 As part of the program, the staff at ILC encourages parents to participate during monthly family-involvement events such as a holiday parties or field day. This gave the staff an opportunity to not only be educators and advocates for the children, but to also influence and mentor the parents as well. While participating in the National Early Care and Education Learning Collaborative (ECELC) Taking Steps to Healthy Success program, the staff focused on hosting healthy celebrations at the center with the hopes that these changes will be implemented at home as well. During Easter season, the center had the parents donate stickers and small toys, which were stuffed into plastic eggs, instead of candy. They also looked online to find healthy snacks that still looked festive such as mandarin oranges for Halloween treats. The staff also eliminated cakes and cupcakes at the children’s birthday celebrations and strategized with parents to think of ways to celebrate in a more healthy way. The staff provided many examples including having a dance party or engaging the children in a birthday themed art project or game. Although the staff faced some resistance at the beginning, the parents eventually saw how much fun the children were having and witnessed the importance of healthy celebrations. Lead teachers from Pomona Early Head Start enrolled in the ECELC program and learned about the benefits of gardening. They immediately wanted to incorporate gardening into their program so kids could learn where and how food is grown. They started small indoor container gardens for their infant and toddler classrooms. Early care and education programs who receive food program assistance–-USDA’s Child and Adult Care Food Program (CACFP)–-have until October 1 to be in compliance with new CACFP guidelines. Make sure your menus and procurement reflect these changes.